Hi, it’s Queensville here with another post. I’m sure most of you – myself included – started running this summer. It’s a great way to lose weight, strengthen bones/joints and help to prevent unexpected health issues. A vast review of 170 disease origin studies in the Journal of Nutrition showed that regular exercise, including running, is often associated with a lower risk of certain cancers. Also, for anyone who’s experienced that “runner’s high”, you’ll know that running can be the best part of your day. Were you planning on starting a daily run schedule, but summer ended up passing by too quickly? It’s not too late; fall is one of the best times to start! What makes autumn such a great time to run? Well for one, the weather is ideal. Summer heat can weigh you down with energy draining humidity. This is especially tough on less-seasoned runners. The cooler air of fall makes it easier for you to run and feel less fatigued. 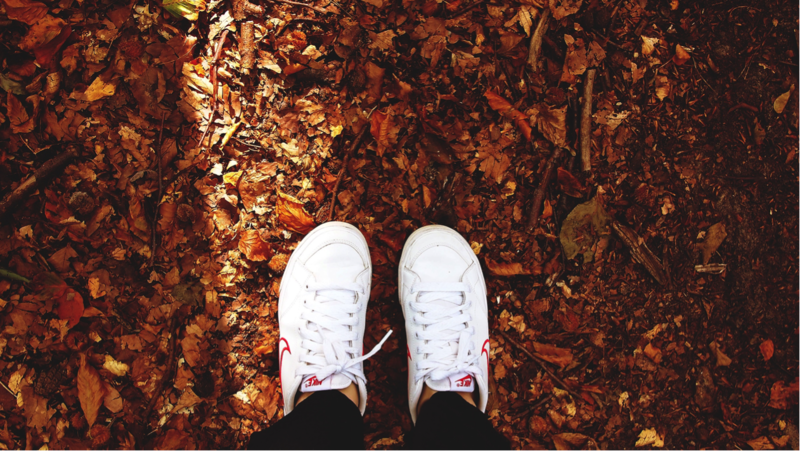 Then, there’s the gorgeous fall foliage, the sound of leaves crunching underneath your sneakers and the crisp fall breeze. The sights and smells of fall make for an enjoyable experience. As well, there’s holiday motivation. The average Canadian can gain up to 5 pounds over the holiday season – and they tend to stick around throughout the year. Running is a great to help shed those extra holiday pounds. Everyone has personal goals and reasons for exercising. It’s important, before you start your routine, to create some reasonable goals to strive for as you embark on your fitness journey. Goals help you to stay motivated on the days when you may have lower energy, or feel a little 'lazy'. Have you recently started running, or are you an avid runner? Be sure to visit my Facebook Page and share your tips with me. I’ll continue to share things I love with you next week.